Apple's plan to get its products in schools? Educate the educators. Apple’s plan to get its products in schools? Educate the educators. Apple products have penetrated multiple markets, shaking up the way people work, create, design and learn by using the company’s range of desktop computers, notebooks and handheld devices. The company’s new CEO, Tim Cook, recently told media at its iPhone 4S launch event that the iPad was now being deployed or tested by 92 percent of the Fortune 500 within their enterprises, rising from 75 percent last quarter. Just under half of the Global 500 have adopted the tablet – using it in medical establishments, in construction and a whole range of different environments. One area that we know has grown substantially over the years is how schools, colleges and universities are rapidly adopting Apple products, shifting from paper textbooks to ebooks and digital publications. Apple products are often much more expensive than other devices on the market, so how does Apple tempt schools to deploy its Mac computers and supply their students with iPads? According to a thoroughly interesting report by the New York Times, the Cupertino-based company actively engages with schools, inviting high-ranking school officials to California to meet Apple executives, interact with its computers and handheld devices and explain how Apple products can improve learning for each child – something it has done over the past ten years and has not been heavily publicised. In visits the officials described as inspirational, they checked out the company’s latest gadgets, discussed the instructional value of computers with high-level Apple executives and engineers, and dined with them and other educators at trendy restaurants. Apple paid for meals and their stay at a nearby inn. The visits paid off for Apple too — to the tune of $1.2 million in sales. 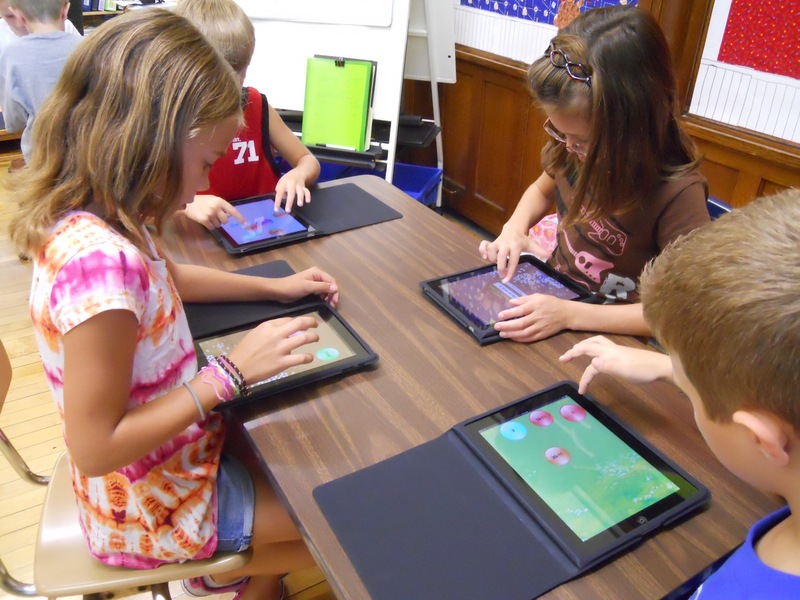 In September, Little Falls handed out iPads to 1,700 of its 2,500 students at a celebration in the school gym. And a few days earlier, 200 teachers got a pep talk via video chat from an Apple executive whom the school superintendent had come to know during his company visits. Educators have been wowed by Apple’s generosity; some have been able to meet with Apple vice presidents but it has watchdogs worried. Whilst the invitations and lobbying would be expected in business circles, many are worried that Apple could be using its influence to convince educators to invest in Apple’s range of computing products. Apple has been quick to point out that education is “in it’s DNA”, noting that it actively advises schools to work within their local regulations. If you are wondering why news of the visits to Apple have not been heavily publicised, it’s because often companies and individuals are asked to sign a non-disclosure agreements (NDA) to protect Apple’s secrets. On its campus, Apple is able to bring all of its products and teams together, delivering an experience that can show visitors the advantages of its ecosystem, looking to its sales representatives to extol the virtues of Apple’s products. Judging by the reactions of some educators, getting the chance to visit 1 Infinite Loop also helps sweeten the deal. With rules in place to reduce pressure on schools and businesses to buy products (the NYT says that over 30 states have laws in place to restrict gifts to state officials), Apple appears to believe that educating the educators is the name of the game, providing them with the information to make an informed decision on the products and software will benefit schools in the long run. It appears to be working, schools are rapidly turning to iPads instead of textbooks, with one Oakland district switching to Apple, giving 350 laptops to teachers in 2010 and this autumn buying 450 iPads and computers to high school students for a total cost of $637,000. Schools in North America and in Europe have followed suit, boosting Apple’s product sales. Google has tried to penetrate the education market, with the launch of its Chromebook. Whilst the company has been quiet on just how many units it has sold to establishments, success stories have been few and far between. Over the past few months, you can’t go far without seeing news of school looking to provide its students with iPads to assist their learning. The New York Times article ‘Silicon Valley Wows Educators, and Woos Them‘ explains in great detail just how the world’s largest technology companies are trying to educate establishments, instead of hoping that IT administrators and those with the budget are able to make the best decisions for the students and teachers at their establishments – it’s really worth a read.